The CA 97 is a digital piano that will transform enthusiastic players into accomplished pianists, and modest homes into grand concert halls. This premium instrument captures the essence of playing a magnificent concert grand piano, and inspires musicians to realise their true artistic potential. 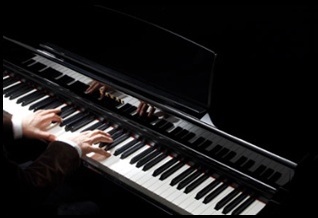 For the first time, the CA series has used the unique sounds of the Kawai Shigeru Grand Piano Series, taking sound quality to a new level. The instrument had been developed from its predecessor by using the new Grand Feel II keyboard. The key dimensions have been recreated, wooden keys lengthened, hammers enlarged and individual keys are weighted to ensure a realistic feel. 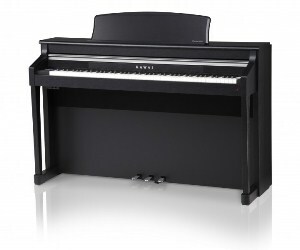 Additionally, the updated keyboard matches the luxury of natural materials with the new Ivory and Ebony Touch surfaces, and includes set-off simulation and triple-sensor key detection, ensuring it feels as close to a Kawai Concert Grand as Possible. The CA Series uses a redesigned speaker system, with 6 speakers, offering a broad, rounded sound, but where the CA97 excels is in the additional soundboard, which supports the updated system, and shows off the bass sounds. The enhanced 'Virtual Technician' enables the player to change the specifics further, such as resonance for undampened strings, and the smart mode means the virtual technician is easier to use. Additionally, the virtual technician App for iPad means the performer can set playing preferences and specifics. Furthermore, the new Spacial Headphone System, adds a natural ambiance to the headphones with the advantages of being able to set the headphone type. Available in Satin Black, Premium Rosewood, Premium Chery, Premium Mahogany. 6 Speaker system, with soundboard. Virtual Technician – can adjust reverb, delay, touch, voicing, Damper resonance and More!